Ball Mill with aluminum jar. 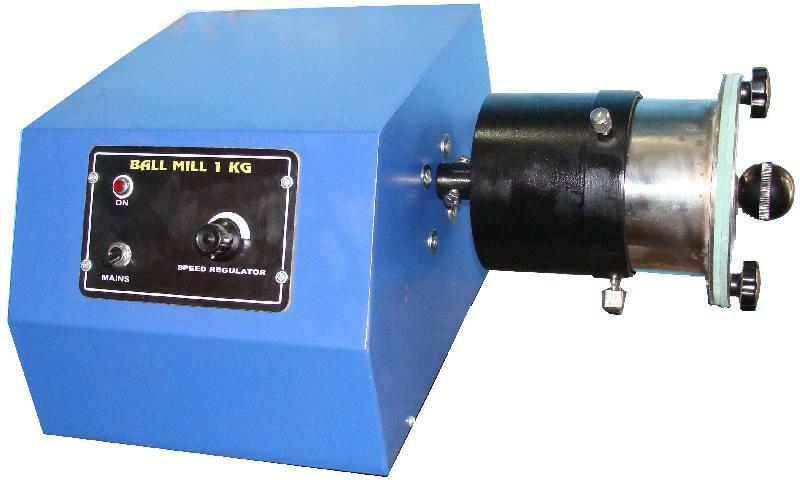 For mixing & grinding, electrically operated having capacity of few gms to 1 Kg & 2 Kg. Fitted with geared Motor with max. speed of 80 rpm.The jar is made of SS and having steel balls of different sizes to be put in jar for mixing & grinding pesticides powder.Jar is interchangeable and easily removable, light in weight and compact unit working on 220 V AC with cap. 1 KG.